The essay was originally published at Tomas Rees’ blog, Epiphenom: the science of religion and non-belief. Religious people tend to think that they know what their god wants, but how do they come by that knowledge? For me, as an atheist, it’s a fascinating question. The gods can’t be communicating their preferences directly (because there’s no such thing), so where do these beliefs come from? One obvious source is the various holy books. However, even if you restrict yourself to adherents of a single religion, there are vast differences in beliefs about god’s opinions (and that’s just looking around the world today – when you extend the comparisons back in time the disagreements between believers become even more dramatic). All this suggests that people must be projecting their own beliefs and opinions onto their god. A bundle of new studies from Nicholas Epley, at the University of Chicago, suggests that that is exactly what happens. What he and his colleagues did was to subtly manipulate people’s own opinions, and see if that affected their ideas about what God’s opinions were. So, for example, in one study he had people read two arguments, pro-and anti-affirmative action. In the ‘pro-policy’ condition, the ‘pro’ argument was strong and the ‘anti’ argument weak. In the ‘anti-policy’ condition, the strength of the arguments was reversed. This had the desired effect on the subjects own opinions. Whether they were pro- or anti affirmative action was influenced by which arguments they read. Then he asked them about what the average American thought about the topic, and also what George Bush thought. As you can see in the graph, this didn’t change regardless of how their own beliefs have been manipulated. 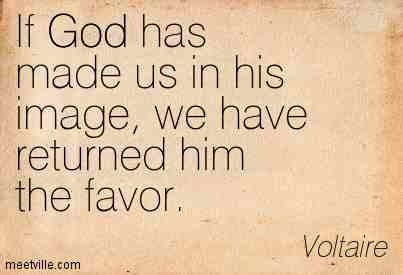 Their beliefs about what god thought did change, however. In fact, the correlation between their own opinions and those they attributed to God was very strong. Now, what’s interesting is that their beliefs about Bill Gates’ opinions also mirrored their own. The thing about Bill Gates is that he’s generally admired, but nobody really knows what his opinion is on this topic. So they were free to invent it. They did another, somewhat more sophisticated experiment that showed something similar. Basically, if you change people’s attitudes to the death penalty, then that changes whether they think God is pro- or anti-death penalty. This is all good stuff. But it gets really interesting when you look at some of the brain scans they did. In these scans, they asked subjects to think about attitudes to euthanasia. First, their own attitude. Then the average American’s attitude. And finally God’s attitude. The first brain image shows the difference between thinking about your own opinions and thinking about the average American’s opinions. You can see that some bits light up, indicating that there is a difference between the two thought processes. The brain recognises that the average American has a different opinion. Looking next the brain image, which shows thinking about God’s opinions compared with the average American’s. Again, some differences. According to this brain, God does not think the same as an average American. Now look at the last brain image in the panel. This takes the brain activity of someone thinking of their own opinion, and subtracts that from the brain activity of that same person thinking of god’s opinions. And guess what? They are exactly the same. ‘What would jesus do?’ It turns out that what Jesus would do is exactly what ‘I’ would do – at least in so far as figuring out what Jesus’s opinions are. Thinking about God’s opinions and thinking about your own opinions uses an identical thought process. People may use religious agents as a moral compass, forming impressions and making decisions based on what they presume God as the ultimate moral authority would believe or want. The central feature of a compass, however, is that it points north no matter what direction a person is facing. 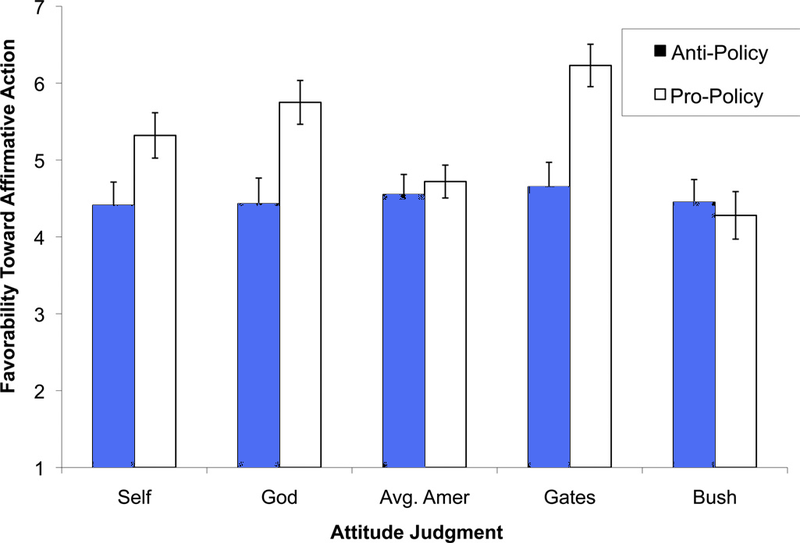 This research suggests that, unlike an actual compass, inferences about God’s beliefs may instead point people further in whatever direction they are already facing. Now, this doesn’t show that religion has no influence on attitudes and opinions. Other research has shown that it does. But it does show is that people can and do reinvent their god to suit their own beliefs. They make god in their own image. Tomas Rees: I want to know why some people believe in gods, and what the psychological and social consequences of those beliefs are. I read the research, and when I find something juicy I write it up and post it here! If you’ve found something interesting, or just want to say ‘Hi!’, then drop me an email. Who am I? Well, I’m a medical writer by profession, living and working on the south coast of England. I have a PhD in biotechnology, and an interest in what makes people tick. My contribution to the sociology of religion, on the causes of international differences in religiosity, was published recently in the Journal of Religion and Society (see related blog post). I’m an Op-Ed columnist for Free Inquiry, the largest-circulation humanist magazine. Who needs God? – article in New Humanist January 2010. Appearance on BBC Radio 4 in August 2009. ← Call for Papers: What positive role do the emotions play in our Naturalistic Paganism? “A cloud of unknowing.” – Anonymous 14th century mystics take on God. Yes, every positive statement one makes about God is a projection from a human mind. Sometimes these projections are made from the best of intentions, sometimes from misguided intentions, sometimes from bad intent. The fact that humans project upon God has no more to do with the existence of God than the fact that atheists project negatively about God. So Tomas, since you are interested in why people believe in God, I will tell you why I do. At one level it is because IS is. God is as good a word for the Great Mystery of Being as any – though I personally prefer the word Tao or even Goddess. But to experience the mystery of that IS fully, to be emerged in the Great Mystery of Being — well it seems everyone who experiences that thinks it divine. For me, nothing else in the realm of experience is comparable.